Our major fundraiser is an annual book sale and involves the entire branch. Money earned goes toward scholarships and educational programming in Clinton County. May 2-5, 2019 in the East Campus Gym of Lock Haven University. Thank you to everyone who joined us for the 2018 book sale! It was a great success! Thank you to the book sale chair, Kim Emery, Julie Story, all of the volunteers who helped set up and take down the books, and thank you to our C/U partner Lock Haven University for use of the East Campus gym! AAUW Lock Haven will begin accepting donations of books at Ross Library starting in January 2019. Books may be dropped off in the library’s lobby. 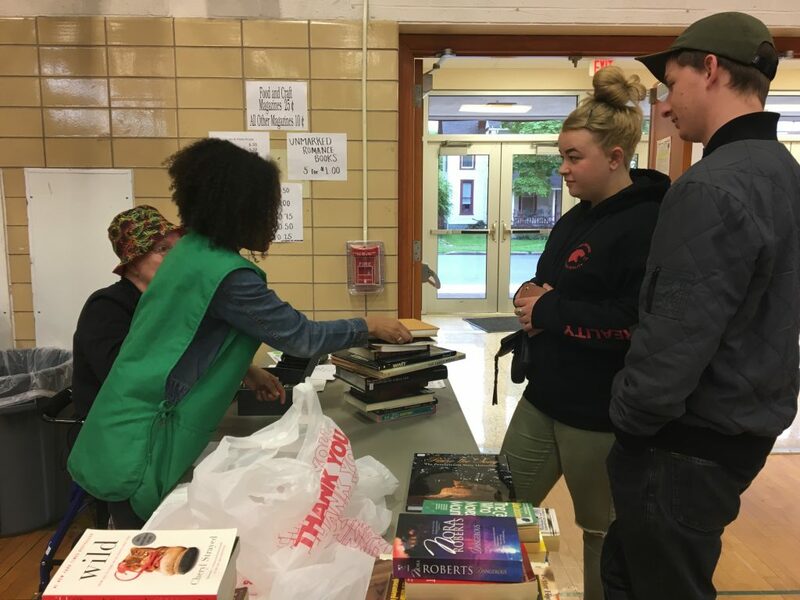 Lock Haven University student, Deray Jones, volunteers with the 2018 book sale. 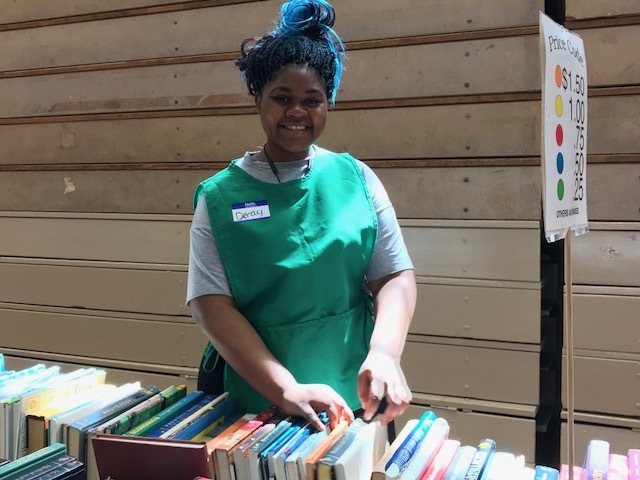 Lock Haven University students volunteered at the 2017 book sale. 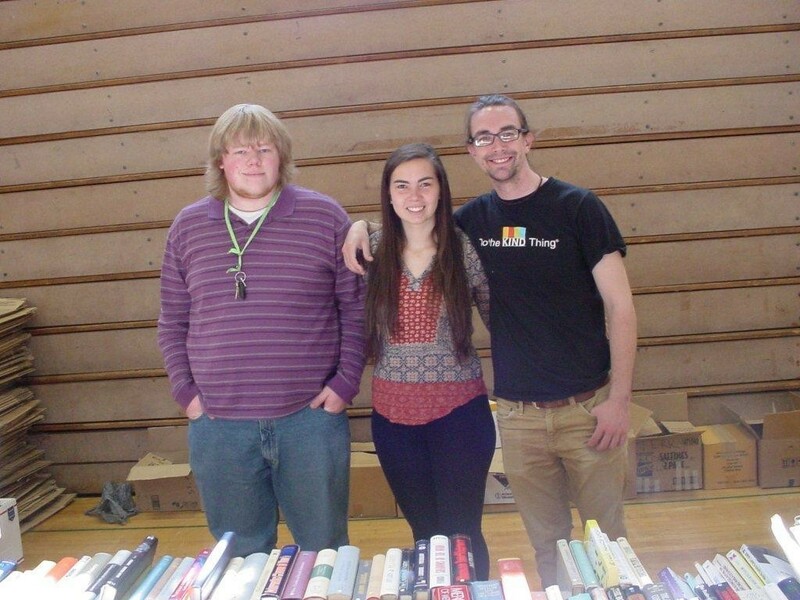 Lock Haven University student volunteers help prepare for the 2015 AAUW Book Sale.